What’s the difference between Contiki and G Adventures? Contiki and G Adventures: two huge international tour companies offering the adventure of a lifetime through group travel. But which one to pick?! On the outside, Contiki and G Adventures do seem very similar: an all-inclusive bus tour around New Zealand for backpackers. However, there are subtle differences between the two which means you are likely to have such a different experience between the two. Whether it’s size of your tour group that is a deal-breaker or the types of adventure activities included in the package, this Contiki and G Adventures comparison aims to help you make a better informed decision when booking your adventure in New Zealand. Contiki in New Zealand is for the traveller who wants to hit all the destination highlights, share these experiences with new-found friends, while making sure they can share they adventure on social media for their friends back home. Food, accommodation, activities are all sorted out so all they have to worry about is thinking how are they going to spend their “free time” with their new friends and what extra activities to pick. G Adventures in New Zealand is for the traveller with a particular style. Do you want to hike, bike, kayak and multi-sport your way around the beautiful landscapes of New Zealand? Then there’s a tour for that. Do you want to hit some highlights and hidden gems with a group of like-minded people? Then there’s a tour for that and more! Whatever style you prefer, you will share it with an intimate group of people. Food – A usual day with Contiki has breakfast and dinner included. Anything in between you will most likely have to accommodate yourself. There will be the option to have cultural dinners, like the Maori Hangi. Contiki will try to accommodate all tastes, sometimes having open options. Activities – A selection of usually paid-for activities are included with Contiki, such as jet boat rides, going up the Skytower, etc. Sightseeing tours and orientations of cities and towns with your tour manager will also be included. Optional activities are available at extra cost and your tour manager can organise them for you. You’ll also get free time to do whatever you want. Accommodation – Expect to be staying hostels and lodges, sharing a dorm with 1-3 other people. There are options to upgrade to be by yourself. Transport – It’s a given, but transport is included in the form of a coach bus with free Wi-Fi, power points and movies. Tour manager – Your tour manager organises activities, party nights, and is essential part of the group. However, they are not there to babysit you so you better arrive to catch the bus on time! There is also a bus driver too. Well, Contiki can go all over New Zealand with trips spanning from 3 days to 19 days. The trips don’t end where you begin but tend to end in the cities with international airports making it easy to move on after your trip. Contiki is a great way to see the highlights of New Zealand in a limited timeframe. Be prepared for an adventure that is fast-paced and action packed! Contiki passengers are social travellers from all over the world! Why else would they choose to hop on a bus full of like-minded people and travel with them for several days? With socialising comes people who like to party, and your tour manager will organise some fancy dress nights and social gatherings. Although Contiki likes to convey a “mixed bag” of passengers, the New Zealand Contiki passengers tend to be on the younger end of the 18-35 scale due to its reasonable price. Expect to be surrounded by people who want to see the world but don’t want the hassle of organising it themselves, whether its a couple of friends travelling together or solo travellers. Contiki claim that 55% of the passengers are female, while 45% are male. Contiki has a large bus operation so expect to have anything from a full bus in New Zealand summer to plenty of leg room during the shoulder seasons. Food – Most breakfasts (which is usually a continental breakfast) and dinners are included each day on the trip. Any meals in between you will have to buy yourself, but your CEO can recommend places to eat. Activities – There’s a wide selection of usually paid-for activities included in your trip, such as over-night excursions by boat, sea kayaking, surf lessons, cultural experiences, and more. One some days you will get free time and you can book optional activities at an extra cost with your CEO. Accommodation – You will stay in a mix of hostels, lodges and basic hotels with G Adventures. Expect to be in a multi-share dorm with your fellow passengers. Transport – G Adventures runs in mini-buses with a trailer carrying the group’s luggage. Other transport might include boat, as some boat tours are included, as well as bicycles, kayaks, and more! CEO – The CEO is the G Adventures’ Chief Experience Officer. They manage your activities, tell you about the places you are visiting, as well as being your driver. They are also in charge of cooking your meals. Where do G adventures go? Trips with G Adventures span from 4 to 24 days. While some trips do a loop starting and finishing in the same city, others will start and finish in different cities. These cities do have international airports though to get you to your next destination. G Adventures offers locations in New Zealand that you will have heard of and some you probably won’t have heard of. The most important thing to remember when browsing G Adventure’s tours is that Yolo style itineraries are usually much different from the Active tour itineraries and other travel styles. So we advise you to pick your style first and then choose your trip. For the full list of G Adventure’s trips, check out the G Adventure’s website. You are likely to get a mixed bag with G Adventures in terms of age and nationality but you get more of “a certain type of person” depending on which “style” of trip you do in New Zealand. For instance, Yolo tours are aimed at travellers who are out to tick things off the bucket list, aged 18-39. On the other hand, Active tours will have a wider variety of ages out experience New Zealand by bike, hike, kayak and whatever active way they can. 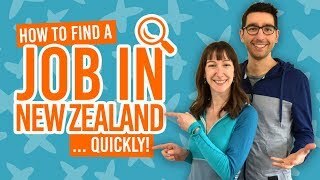 Other travel styles in New Zealand include Classic tours who tend to have passengers from mid to late twenties who like a good balance between group and independent travel, and finally, National Geographic Journeys which is aimed more at 30+ with a bit of money in their pocket. One thing to note about the passenger experience with G Adventures is that they travel in small buses meaning they have quite small groups, usually averaging at 12 people.